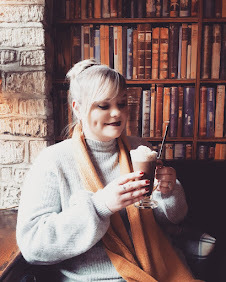 On my blogging journey I have come across a lot of sites that have helped me immensely, I still have a long way to go, but I have also come a long way and therefore I thought I would share with you some of the sites I have used to help me. Dana - I Can Build a Blog - I love Dana's site she explains everything so simply that even me, the least technological person, can understand how to set up html coding and make a few small but significant changes to my blog. Dana also produces videos and informative tutorials that make the blogging process so much easier. If you have just started your blog I would definitely recommend a visit to her site, it explains everything from removing the border on blogger photos, to how to add your own buttons. An all round helpful and useful site. 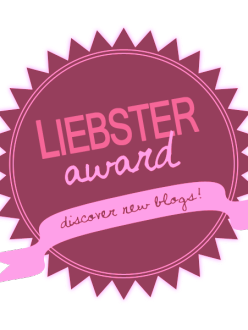 Lauren - Elle and Company - Lauren's site has some amazing 'How to' posts, from how to get first time viewers to stick around to how to get the most out of your old blog posts. The site is beautiful set up, easy to navigate and thoroughly enjoyable to read. Elle and Company is definitely worth a visit if your a blogger as the site offers so much useful advice and important things to know about starting a blog. I have been drinking it all in and hope to put it to good use! Becky (Milk, Bubble, Tea) - Becky's blog is simply stunning, I could spend hours pouring through her crisp white photographs of her amazing baking or beautiful room décor. If you love glossy white images then Becky's blog has just the ticket. Charissa (CharissaRae) - I came across Charissa's blog not too long ago and her style is impeccable. Her most recent posts featuring the upcoming 70's trend are so inspirational. Charissa's Photography is good too, she definitely knows how to pull off the outfit posts, something I would love to be able to do but I just end up looking very awkward! If your into fashion then I really would recommend heading over to her blog for a good dose of fashion inspiration. Be prepared to want to shop though! Amelia (xAmeliax) - Amelia's blog is the perfect lifestyle blog, with plenty of food, days out and dreamy holidays. Amelia comes across so down to earth and bubbly making her blog a joy to read. She also has a very cute dog! Chloe (The-Little-Plum) - I love Chloe's writing style, she comes across so well and in her own words ''sassy''. Her blog is such a fun read it really draws you in. Her fashion sense is also incredible and is translated into amazing photography. Pinterest - I am a Pinterest addict, I could spend hours creating boards and pinning whimsical photographs to it. Definitely a must if you want some photography inspiration, but not only that there are tonnes of inspiring D.I.Y's and Baking ideas. There's something for everyone on pinterest, bakers, home décor lovers, fashionistas, all in one easy to use website. I'll apologise now for all the hours your going to lose pinning! Picmonkey- I've used Picmonkey a few times to edit photos or to create collages, it is a free to use site that helps you to make the most of your photographs. I mainly use it for my Round up posts to create pretty collages.